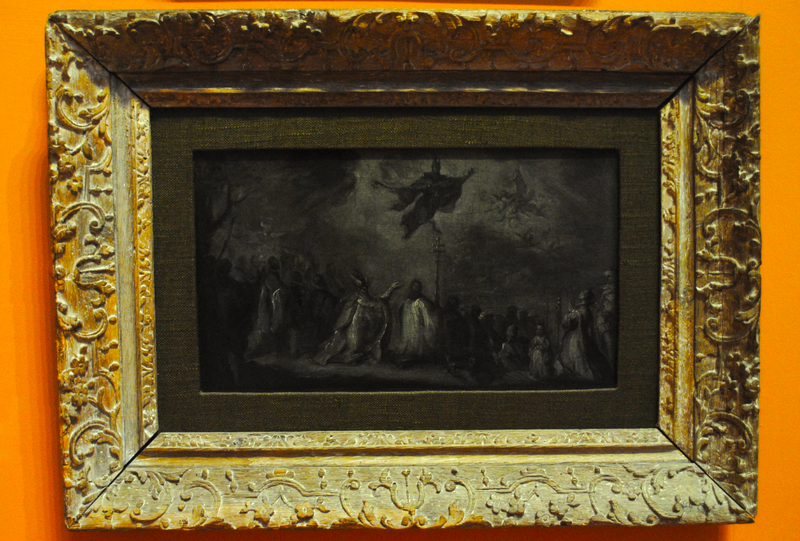 The above oil sketch in grisaille (monochrome) dates to 1734 and is thought likely to be related to a painting of the same subject, which is now in the Prado in Milan, by the 18th century Spanish artist Miguel Jacinto Menendez. 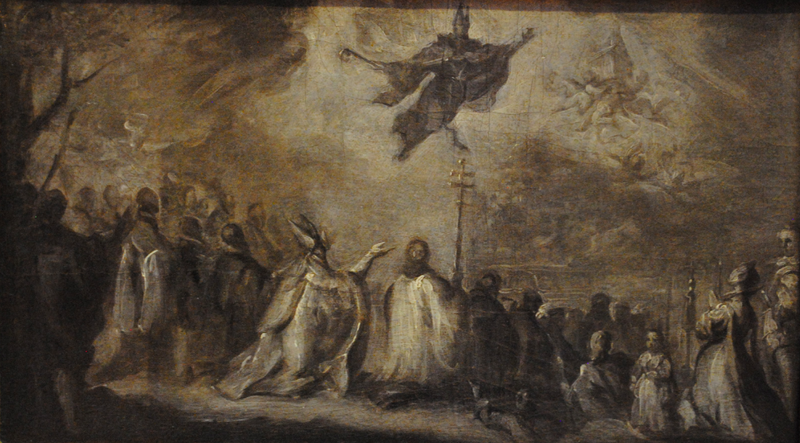 The painting in the Prado is also a preparatory study for a lost work which was painted for the transept of the church of San Felipe el Real in Madrid. The above sketch represents a miracle that happened in 1268 when a plague of locusts threatened to destroy crops around Toledo. The prayers of the archbishop and his flock were answered when St Augustine appeared and drove the locusts to their death in the river Tajo. Menendez became an official painter to Philip V, the first Bourbon king of Spain, in 1712 and produced a large number of royal portraits and religious compositions.